LINE is a new communication app which allows you to make FREE voice calls and send FREE messages whenever and wherever you are, 24 hours a day. 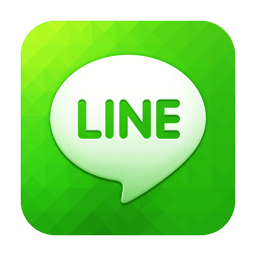 LINE has more than 150 million users worldwide and is used in over 230 countries. Express yourself using stickers and emoji. Have fun with LINE’s ‘Home’ feature: Share your moments with all your friends using photos, videos, and location info. Use ‘Timeline’ to see what your friends have been up to and what they have posted! Leave comments, messages and enjoy your communication. New Sticker Shop! Find all your favorite characters here. Hilarious and fun stickers featuring famous characters from all over the world can be found here. For comfortable and trouble free use, we recommend using LINE on iOS 4.3 or higher. Improvements to the image viewer in the chat window. Improvements to the sticker selection screen. Can now write comments on the Timeline with stickers and text. Clearly defined active/inactive window status. Can now delete friends from hidden/blocked user lists. Free text messaging and free video calls with more than 300 million people. Now also available for Windows and Mac desktop computers. WhatsApp Messenger is a smartphone messenger available for iPhone and other smartphones.